When I was an investment banker, I went through extensive training on how to analyze the health of a business’ financial statements. In these trainings, our instructors would drill down on the statement “Cash is king.” This statement really set in when I started Uptima Business Bootcamp – instead of an intellectual exercise of analyzing someone else’s business, I had to look deeply at how to effectively use my own financial resources to develop the business. For any business owner, understanding and managing cash flow is vital to start, invest in, and operate a thriving business. It’s also one of the greatest challenges in running a business and one of the biggest reasons businesses fail in their early years. So, this week we’re sharing how to analyze your business’ cash flow. If you haven’t done this already, it’s important to set clear boundaries between your business and personal financial accounts. This will allow you to get a clear snapshot of how your business is performing, how much you need to earn to maintain your lifestyle, and where the money is going to come from. Not to mention, separating your accounts can help you stay on the right side of the law when it comes to taxes and conflicts of interest. Once you have separated your accounts, perform a cash flow analysis of your business. You can do this by creating a cash flow statement, which is a financial statement that looks at how money flows into and out of your business during specified periods of time. Operating Activities: Operating inflows include money received from customers, while operating outflows include cash paid to suppliers, independent contractors, employees, and taxes. Investing Activities: Investing activities include the purchase or sale of business assets, such as equipment, real estate, patents, etc. 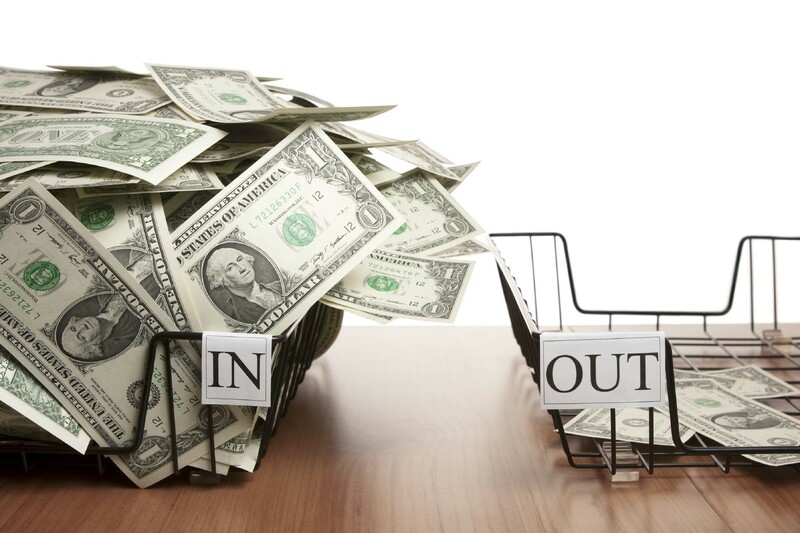 An outflow occurs when you spend money on the purchase of those assets, and an inflow occurs when you receive money from the sale of those assets. Financing Activities: Financing inflows include money received from loans, issuance of stock to shareholders, or other financial investment made in the business. Financing outflows occur when you repay the loan, distribute dividends to shareholders, or buy back the equity issued to shareholders. After you have recorded all the inflows and outflows in these categories, add everything up. The sum of everything for the period is your closing cash balance. If the closing cash balance is greater than the opening cash balance, your business has positive cash flow. If it’s lower, then your business has negative cash flow. Now that you have analyzed your business’ historical cash flow, you can start to project future cash flows. You should estimate monthly cash inflows and outflows based on your business’ financial forecasts (see Guide to Getting Started on Your Business’ Financial Forecast for help on creating a financial forecast). Using the same math, you can calculate the projected closing cash balance for each month in your forecast. Don’t let your cash flow projections sit on a shelf. Learn from them by reporting your business’ actual performance against your projections each month. This is called a variance analysis. You can calculate the amount of variance by taking the difference between actual performance and projected performance. Once you have identified the amount of variance, go back through your invoices, receipts, bank statements and credit card statements, to identify the cause of the variance. By identifying variances, you can see where you may need to make changes in your business activities and/or what you need to do to increase the accuracy of your projections. The more frequently you analyze your business’ cash flow, the more effective you can become in managing cash and running your business overall.